Welcome back everyone to the e-commerce marketing podcast. I am your host Arlen Robinson and today we have a special episode for you. I will be sharing the audio of a presentation that I did on how to make your site more mobile-friendly. In this age of the smartphone, mobile friendliness is more important than ever as you will hear in the presentation. The majority of internet searches are done on mobile devices. Hope you enjoy this practical information. See you next episode. When thinking about ways to increase sales to your online store, there may be one specific way to do this that is actually right in the palm of your hand. And this is something that if you take advantage of. It will set the groundwork for increase sales and conversions to your website as time moves on but if you ignore it and do not take advantage of this now you could actually see a continual decline in transactions to your website. I'm Marlon Robinson from OSI affiliate software in this video. I will reveal something that every e-commerce business owner must do if they want to continue to get online sales in the years to come. in this video. You will learn how to increase the sales to your online store by improving the mobile friendliness of your sight. So without any further Ado, let's get started. So why is mobile friendliness so important these days first of all, The majority of internet searches are done Via mobile devices. Secondly. Google is now prioritizing their mobile index which means the mobile indexing is exactly as it sounds it just means that the mobile version of your website will become the starting point for what Google includes in their index and the Baseline for how they determine ranking. 57% of users say they won't recommend a business that has a poorly designed mobile site. And Google also says that 61 percent of users are unlikely to return to a mobile site that they had trouble accessing. So now that you see why mobile friendly website is so important. Let's look at some elements of a perfect mobile website. First off the website's design should be responsive meaning that it should automatically adapt to whatever device that is. It is being viewed from so whatever mobile device cell phone or tablet. It needs to automatically adapt the site should load fast typically in less than three seconds. The site should be readable without having to actually zoom into the. And it should be very easy to operate and navigate. So now let's take a look at some examples of some great mobile websites. The first example is Amazon. They've got a great mobile website and as you see. Very clean and clear easy to see the text the graphics the buttons are large and they have a search navigation bar and search at the top of the page. The next site is Etsy, which is a Marketplace for buying unique one of the kind items. As you see very clean site also with a search bar at the top as well as a hamburger menu navigation structure that will expand out to access further options and all of the graphics and text here are very clear and easy to read and finally just fab, which is a membership site for custom women's fashion packages. Again, great mobile website the call to actions on here are very clear prominent get started buttons prominent login button at the top and the text is really easy to see and the graphics have been optimized for mobile devices. 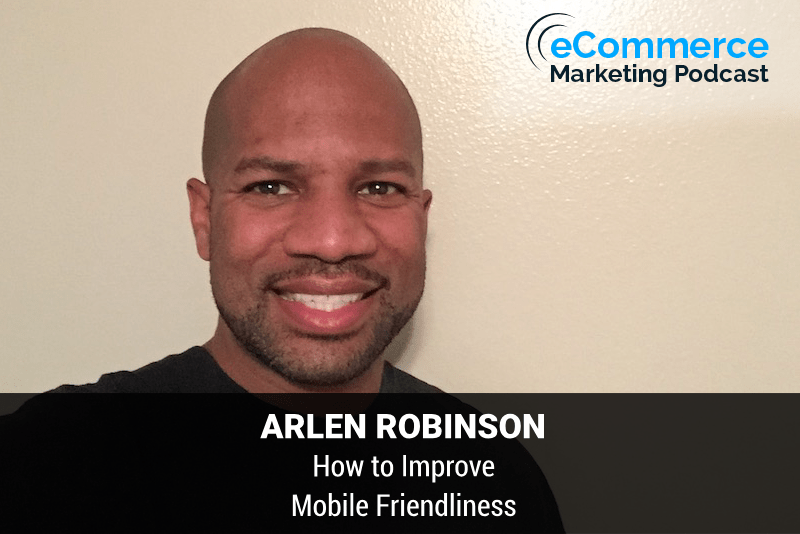 So at this point, you're probably wondering what are some ways in which you can improve the mobile friendliness of your site. Well, you're in luck because there are many ways to do this and I recommend that you first do a mobile audit on your entire site, but here are some ways that you can do this. One of the ways is to go to test my sight I think with Google it's a great site that is run through Google and we'll give you a lot of a variety of suggestions for optimizing. And auditing your site a lot of these things could be technical. But if you do have a developer that can make fine-tune changes to the code of your site the recommendations that this site provides. Can be passed on to your developer. There's also another great site, which is ready. All you do is go to that site and enter your URL and it will show you how it looks how your site looks on different types of phones and devices. Finally. Another great site is browserstack. If you go to the browser stack forward slash responsive page, you will be able to check the mobile friendliness of your site on a large library of devices. Old and new so you can just make sure that you're covering all your bases now that we found a variety of resources to test your mobile friendliness of your site on let's Dive Right into some ways to improve it first off after running an audit of your site as we previously mentioned on the previous slide. You should then make sure your site is responsive and have it automatically adapt to any mobile device. This can be done by making sure that whatever template or design that you have is responsive. Now these days most of the e-commerce shopping cart companies such as Shopify Bigcommerce woocommerce and several others typically have templates that are responsive. You also want to make sure your be very careful with the types of popups that you use. Now. I know many of you have opt-in forms on your site where you're getting your customers to opt into your mailing list and opt into various deals that you may have on your site, but you have to be careful because there are some pop-ups that perform much better on mobile devices and you do not want to be a deterrent to someone moving forward and getting what they need to get. On your site Via Mobile design and a mobile site and you should also be sure to test your site consistently. You may be making changes over time to your website, but you may not realize what these changes could be doing to the mobile friendliness of your sight. So this is very important. So some other Improvement factors include the following. You also want to make sure that your font size and font type is large enough and easy to read on any mobile device. You should also streamline all the elements in your design. Meaning that your layout your graphics should all be cleanly designed and quickly and easily flow from one page to the next everything should be consistent and have a consistent look and feel so that it's a natural progression as you go from page to page on your mobile device. Thirdly, and this is a pretty big one. You should make sure that if you've got your phone number on the site make sure that it's prominent at the top of the site or the page and that it's clickable so that when someone clicks on it if they're on a mobile device or mobile cell phone, it will automatically call that number and if your have that phone number make sure that it's site-wide. Um at any point in time you want to make it easy for someone to reach. A person on urine so that they can ask any questions that they have you want to make sure that you also have large clickable buttons in the examples that we looked at with Amazon Etsy and JustFab those were great examples of sites that had large clickable buttons. They were large the text was clear and bold very easy to see without having to zoom in. If you've got easy to fill out if you got any type of forms in your site, you need to make sure that they're easy to fill out whether they're opt-in forms or your order check out forms. The bottom line is you want to make sure that they are as easy as possible to fill out and you want to remove any unnecessary fields. And then finally, you should pop going with it overall clean design and layout now. We know you want to make sure that you include as much information and detail about your company and your products as possible in order to win that customer over but at the same time you don't want to make have a site that's too cluttered especially for mobile devices because. You have to realize that the real estate is limited on a mobile device. And if there's too much thrown at the user they're going to get overwhelmed and then just bounce off your site. You can go to the next so now that you see what it will take to improve the mobile friendliness of your site. You should get started improving it by following all these previously mentioned steps and ideas. So if you like this video make sure you subscribe to this Channel right now. Just click on the Subscribe button below and if you don't already have a referral marketing solution, make sure you visit OSI affiliate and check out our software. We include a 15-day free trial with all of our plans now. I'd like to turn it over to you. What Improvement strategy will you try first will you try increasing the font size throughout your site so that it displays more clearly and mobile devices or when you be adding larger more clickable buttons through your site. Let me know by leaving a comment right now. Thank you for listening to the e-commerce marketing podcast to access eCommerce videos and other resources to help your business. Grow. Please visit get forward slash videos subscribe to us on iTunes by searching for e-commerce marketing podcast, and please leave a rating and a review. Thanks for listening.